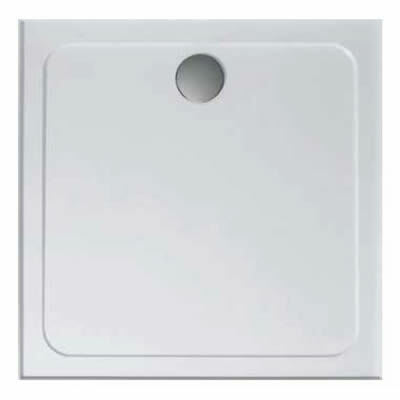 Make your shower installation a breeze with the 900x900mm Shower Base but manufactures Louve` – best suited for small to mid-sized shower spaces. This shower base is practical and beautifully designed. Not only will it ease your shower installation woes, but it will also help keep your bathroom clean and attractive at all times. This shower base has an innovative design. It features a 9mm tile flange on all sides, which makes it self-supporting. It features a low profile design of just 40mm. This makes it one of the sleekest looking shower bases in the market today. It is made out of a high compression moulded thermos set resin called SMC. This makes it durable, easy to clean and lightweight at just 20kg. The waste includes a standard dome cover on the rear outlet. 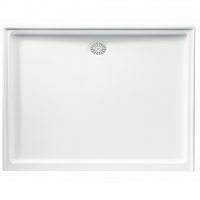 This high-quality shower base is backed by a 10-year warranty and has been designed to withstand many years of service. 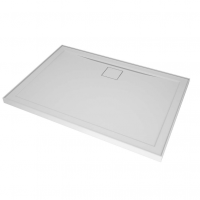 This shower base is also available in 900x1200mm. 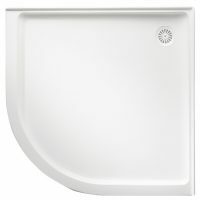 The Louve` shower bases are very popular with customers at Ross’s Discount Home Centre. Purchase one at a great low price from Ross’s Discount Home Centre today for easy-breezy shower installation.